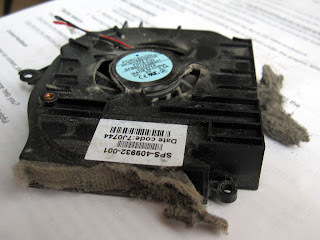 After a bit of googling, I ordered a replacement fan this week. 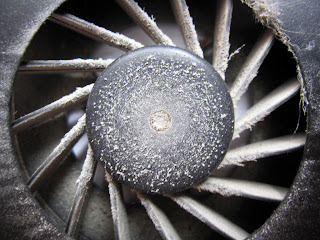 Spent an hour yesterday removing more and more parts to get access to the old fan. After replacing it and returning all the parts to the right place the computer gladly booted up, really quiet and stable. ...and it is more important.